Full Making of Documentary is Now Live! Red Bull Interview with Feargus Urquhart About Pillars of Eternity! 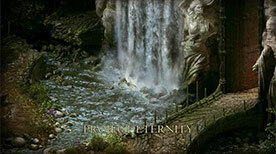 The Road to Eternity Part 3, Another Sneek Peek at the Making of Pillars of Eternity Documentary! We have released another sneek peek of the Making of Pillars of Eternity documentary, The Road to Eternity. You can check out part 3 of the documentary by clicking on the link here! Gamasutra Talks to Josh Sawyer About Pillars of Eternity! Gamasutra has posted an article in which they talk to Josh Sawyer about developing Pillars of Eternity and the success of the game. You can read the article at the link here.